Yesterday Jeff and I went to Wegman’s. This is a supermarket to top all supermarkets. If you have to go food shopping, and who doesn’t, this is the place to go. I’m happy to say my son just landed a job there, and I’m pretty impressed because it’s not an easy place to even get an interview. Any who, while we were there we tasted some blue cheese with balsamic glaze that sported a giant bing cherry off to the side of the little cup they give you for taste-testing purposes. OMG already! It was to die for. The blue cheese tasted like some kind of fancy cream cheese and the glaze, well, forgetaboutit! It was just amazing. When we walked behind the plethora of dairy delights, I noticed the beautiful flower arrangements that created a backdrop to my little piece of cheese-heaven. There were three woman working, feverishly, in a jungle of floral reds, yellows, and greens , creating all sorts of fancy bouquets and table dressings and I thought, “How lucky is this? 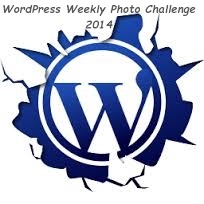 !” This week’s challenge, presented by Ailsa from wheresmybackpack is all about flowers! I figured, hey! Why can’t supermarket flowers get a little recognition, so I grabbed my phone out of my pocket, asked Jeff to hang tight, and off I went, clicking and smelling and smiling. Here’s some of what they were building back there. Great stuff, ladies! As much as I enjoyed looking all that fabulous flora , this was my favorite. A Rainbow of Roses! Blue cheese and balsamic glaze, bing cherries aside, it was a very fruitful trip to the supermarket. And, because I was on a roll, these are in our side yard at home. Click on this link to enjoy more fancy flowers, exotic and otherwise, and thanks to Ailsa for posting the challenge. 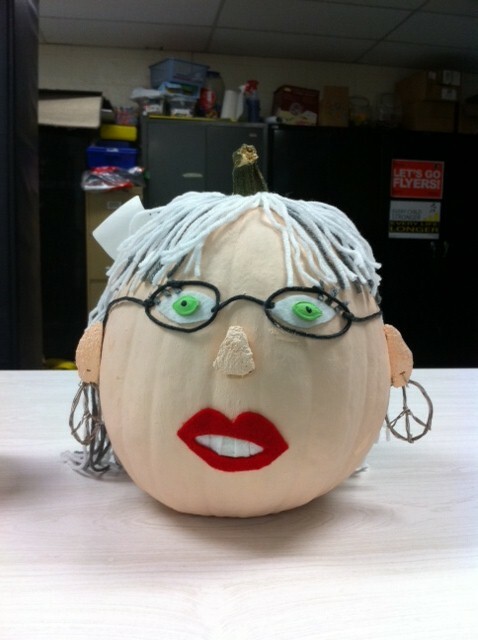 This entry was posted in Post A Week 2012 and tagged black-eyed susans, CHEESE, flowers, roses, Travel Theme, Wegman's. Bookmark the permalink. It was your lucky day. That cheese sounds wonderful, and the flowers look great. Those roses are most unusual. Had they been dyed? That was going to be my question…are they for real!!! Amazing even if dyed!! Wow! 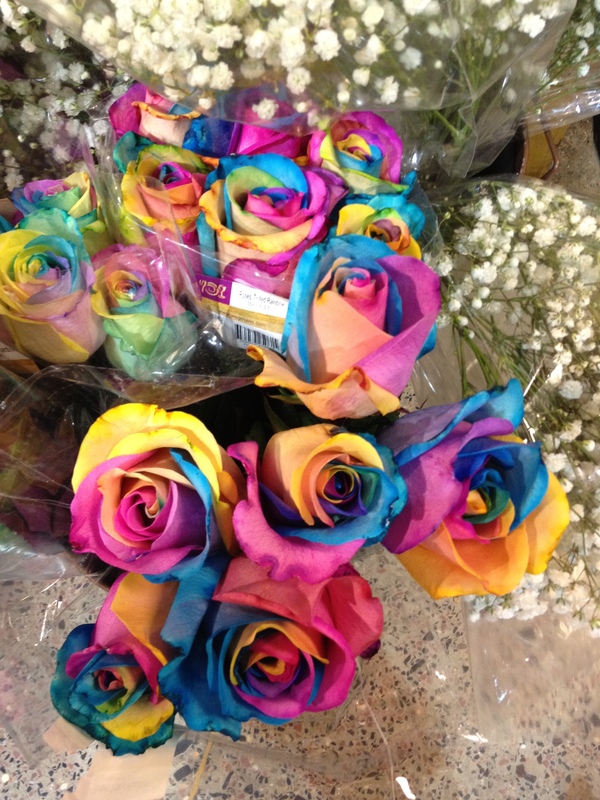 I love the rainbow of roses, because who doesn’t love a rainbow. And roses. 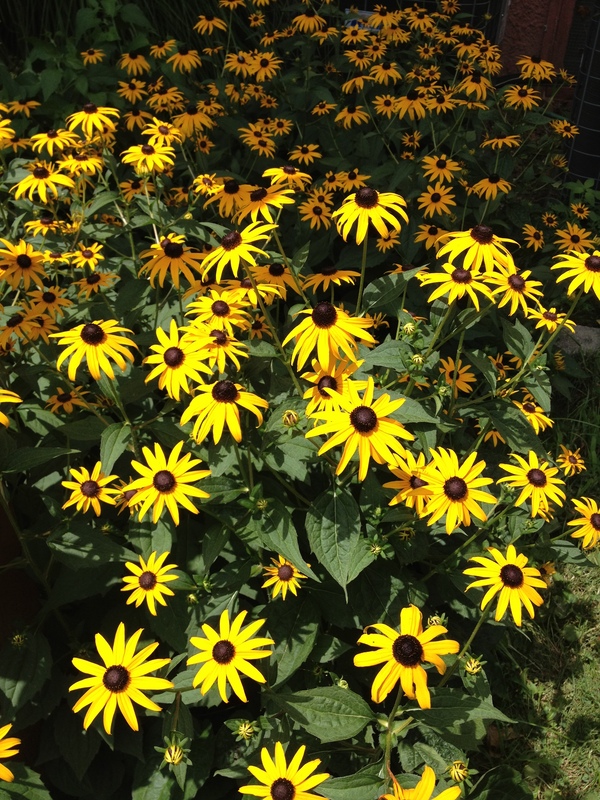 But let’s face it – nothing compares to the black eyed susans by your house! They’re ridiculous! Soon there will be more Susan than house! And there’s more than that! Great post & photos – and a little nostalgia as well, for me! Since leaving upstate NY for New England, we have really missed Wegmans! I always try to get there when we visit our family in Rochester, Buffalo, and Eastern PA! My wife likes Blackeyed Susans, and my mum loves roses. Is that what those are? 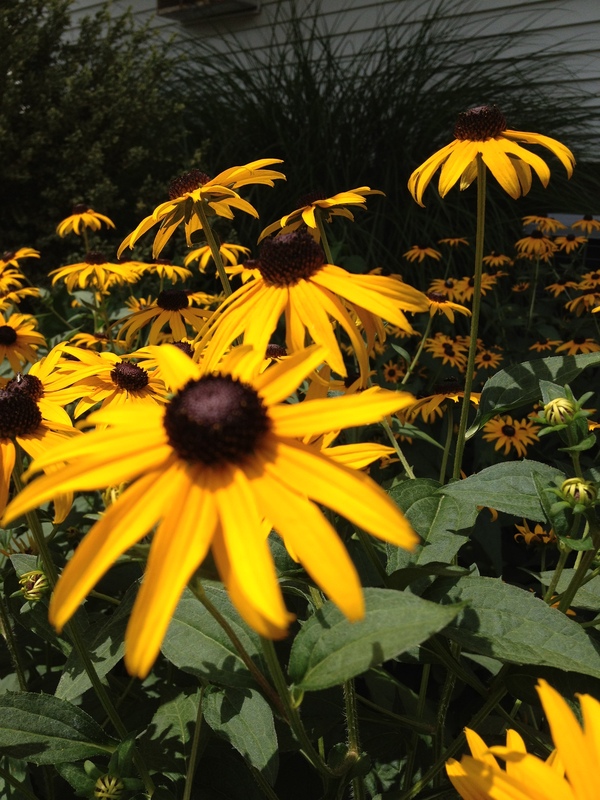 Blackeyed Susans? Because we actually have some, and they live and thrive even in the company of someone with black thumbs. I love the sunflowers. It really makes me happy. Thank you, IndiGo. I appreciate the nomination and will respond soon. Beautiful flowers. What caught my attention was the rainbow roses. How cool is that? So cool. It’s like having all the colors of joy in your hand. Wow!